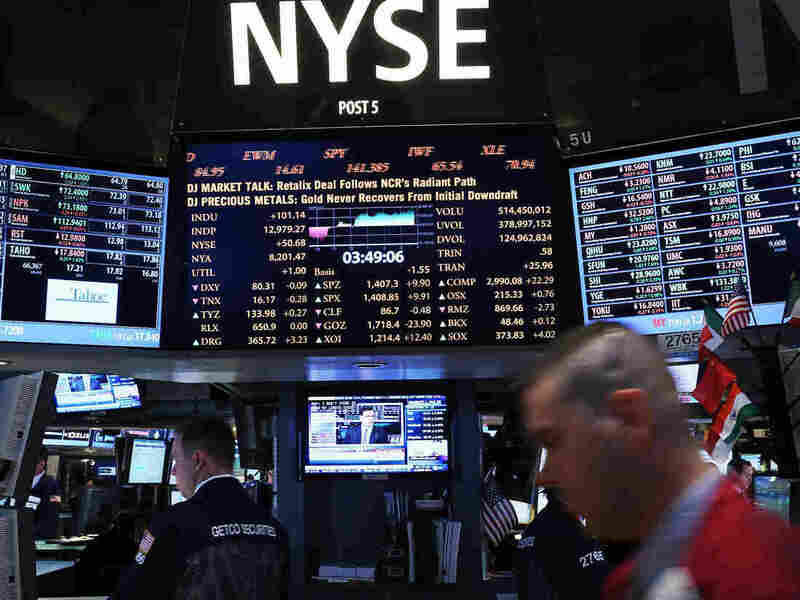 NYSE Being Bought For $8.2B By Atlanta-Based IntercontinentalExchange : The Two-Way The deal would end the New York Stock Exchange's independence and seems to underscore its diminishing influence. Other exchanges, such as ICE, have pioneered futures trading. Regulators are expected to OK the acquisition. The New York Stock Exchange will be acquired by IntercontinentalExchange of Atlanta in a deal valued at about $8.2 billion, the two rivals confirmed Thursday morning. In matching press releases, they say the sale "combines two leading exchange groups to create a premier global exchange operator diversified across markets including agricultural and energy commodities, credit derivatives, equities and equity derivatives, foreign exchange and interest rates." The Wall Street Journal notes that the deal "would end more than two centuries of independence for the New York Stock Exchange, one of Wall Street's most enduring symbols of American capitalism." "A combination of ICE and NYSE Euronext would likely raise fewer regulatory concerns because the two exchange groups don't have as much direct overlap in the markets they run. ICE's main business lies in energy futures trading, a sector where NYSE Euronext has made few inroads." "Mergng NYSE Euronext, which owns the biggest exchanges by value of listings in the U.S., France and the Netherlands, with the second-largest futures market underscores both the growing importance of derivatives and the diminishing influence of the 220-year-old NYSE. The Big Board, once the benchmark for global free markets, has seen its share of trading in stocks listed on the exchange decline to 21 percent from 82 percent." Reuters writes that "analysts said the deal will give Atlanta-based ICE a strategic boost with control of Liffe, Europe's second-largest derivatives market, helping it compete against U.S.-based CME Group Inc, owner of the Chicago Board of Trade."